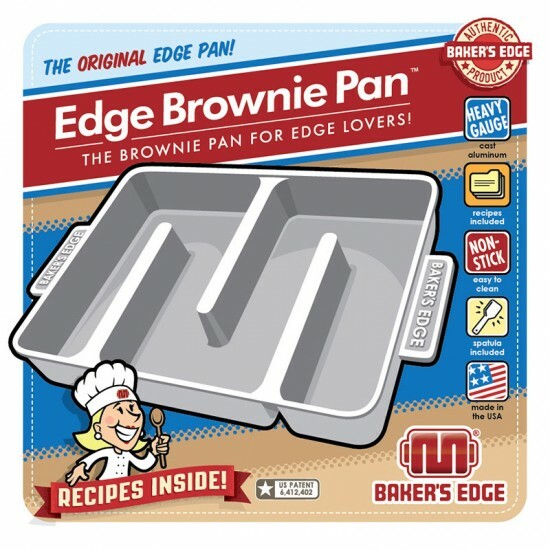 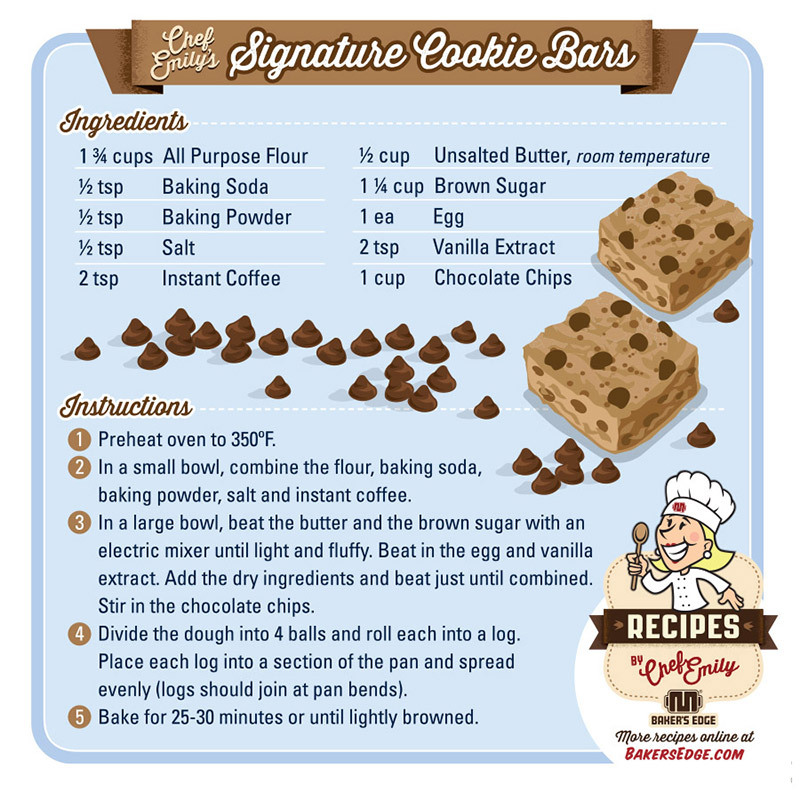 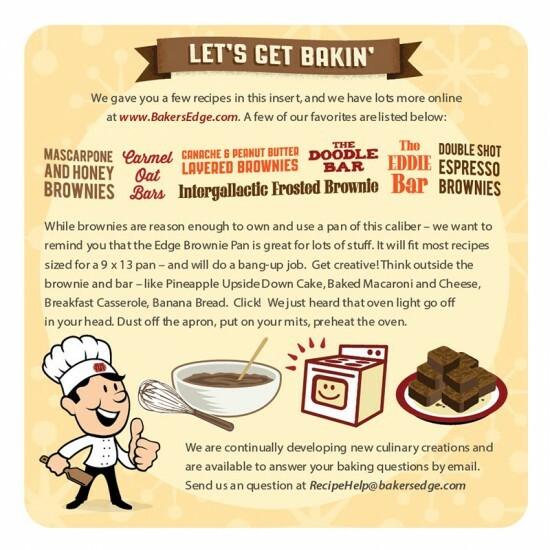 Baker’s Edge printed insert for the Edge Brownie Pan box. 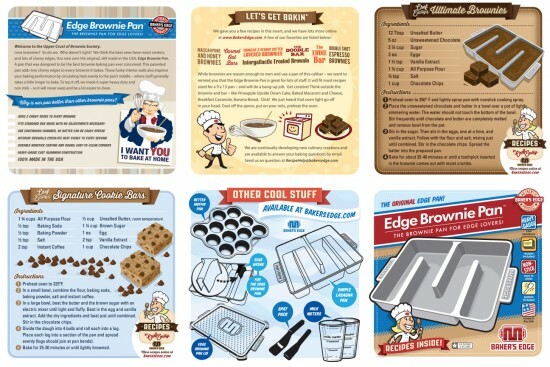 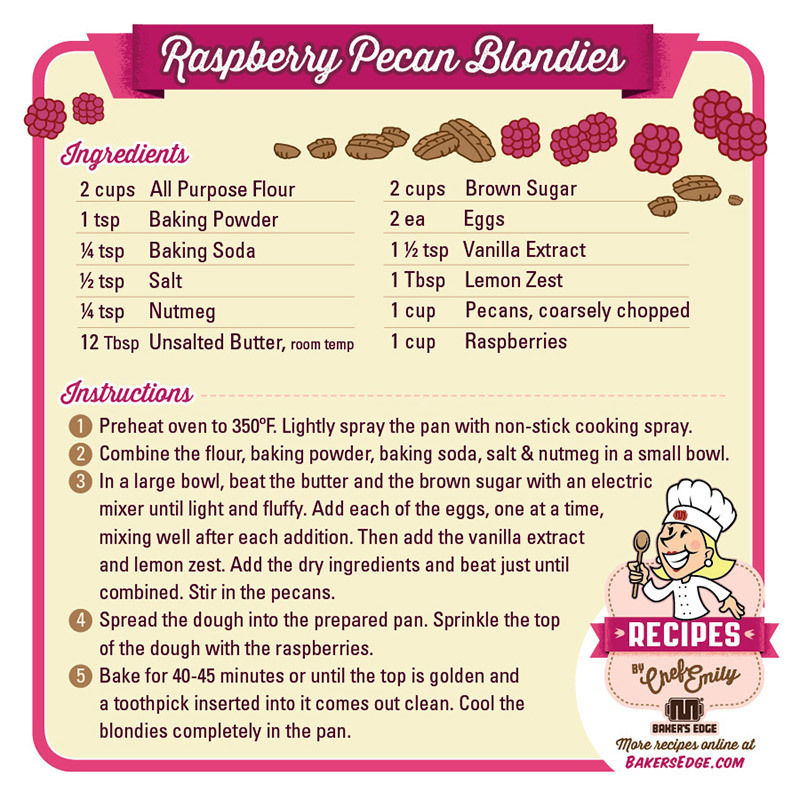 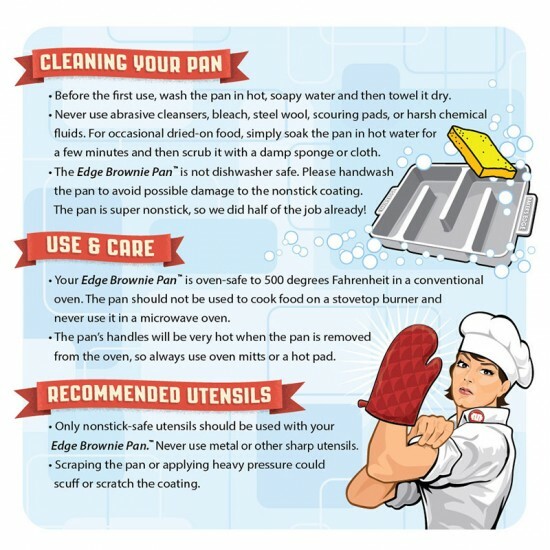 This 12-panel, folded insert includes recipes, product info and more. 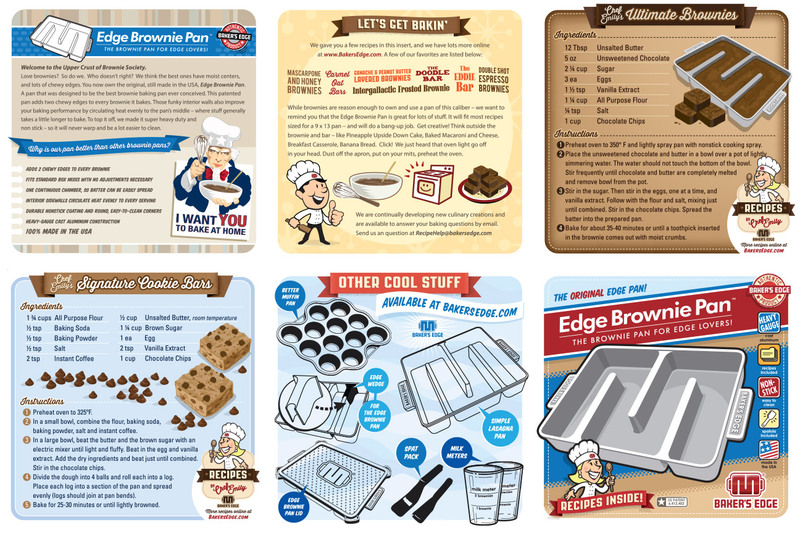 You can simply place a black and white flyer in a product’s packaging with yer standard use-and-care info. Or, you can provide a fun li’l insert to show you care about your customers. 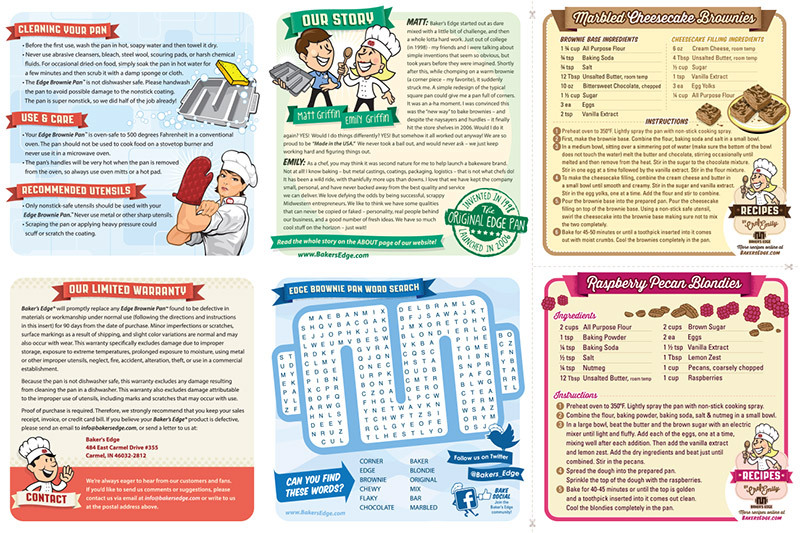 This 4-color piece employs all the necessary text (policies, instructions, specs), but also puts a smile on recipients with 4 custom recipes and a word search. 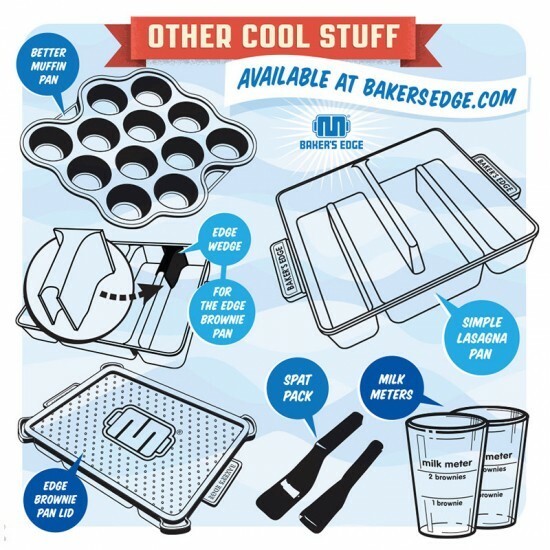 It’s an opportunity make a great impression…even after the sale.